Arda Cards Blog: New to this!! I'm Suz. I have 3 children and a wonderful husband who doesn't mind my obsession with crafting!! Well he's usually busy playing the piano whilst I craft!! I used to run a couple of local playgroups but gave up work last year to care for my youngest who has been diagnosed with Pervasive Developmental Disorder (NOS) with Autistic tendancies. I've been making cards since I was 10 when I used to trace pictures from books and then colour them and add them to the front of cards! My mum says I was cutting up bits of paper and drawing and generally being crafty as the child too! I started designing and selling craft downloads online earlier this year - at http://www.card-making-downloads.com/ and also http://www.craftycardmaking.com/. I've decided to start a blog as I see so many on my trawls of the net searching for new graphics to play with. One of my favourite sites is http://www.nitwitcollections.com/. I just love the cute graphics on this site - really appeal to the kid in me!! I'm not sure what I'm doing and not sure where I'll find the time but hey, I'll give it a go!! 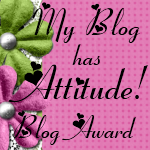 Welcome to the land of blog! Hope you have a lot of fun with it!!! I know I do!!! 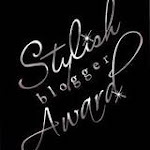 Pop over to my blog, I have an award for you!!! good luck, i will pop back soon to see what your up to! Award From Dawn!! And Surprise Anniversary Gift!